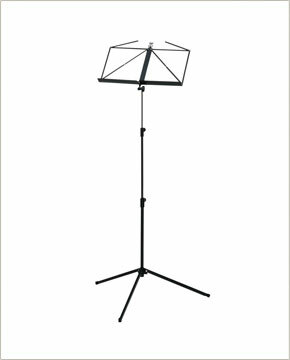 Three section folding stand with knob adjustment and tiltable desk. Plastic fittings with metal-to-metal threads. European style rectangular desk with wire music retainers. Tubular leg tripod base folds for convenient transport and storage. Durable black powder coated finish.